Vacation rental cottage. Sleeps 4, 1 bedroom, 1 bathroom. Cats, Dogs allowed. Our charming Gulf View Cottages are one bedroom units that are located just steps from the beautiful sand and shell studded beach. Each cottage has a fully equipped kitchen with a full size refrigerator, glass top stove and coffee maker, a large and comfortable living area, free Wi-Fi, a generous dining nook, and private screened in porch with a partial view of the beach. 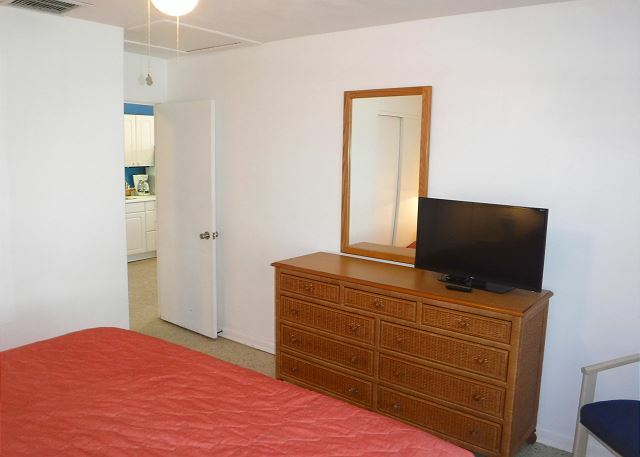 Each unit can accommodate up to 4 people with a king bed in the bedroom, and a queen sofa sleeper in the living room. Each has a flat screen TV and DVD player in the living room. These tropical cottages are decorated in a bright and airy island motif with terrazzo flooring and are approximately 625 sq ft or larger in size. Everything was smooth sailing and easy going during our stay - we felt comfortable and secure at waterside inn - no hustle / bustle here just a nice relaxing time. We will surely return to waterside inn! It was very nice beautiful beach will definitely come back but with no Siems spray !! Being on the beach with all the restful amenities, and within walking distance to shopping and restaurants (less than a couple of miles) made this the ideal vacation spot for us. 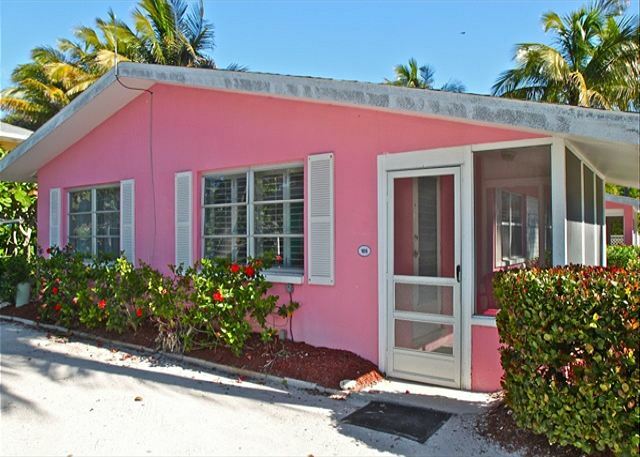 We used to live on Sanibel, and this is the next best thing to living there! We enjoyed the few days during our Florida vacation in the Waterside Inn. The environment is absolutely awesome and we loved our cottage so close to the beach. We had a wonderful time, as always. We had a great stay, the entire cottage was impressively clean and comfortable. Adequately equipped kitchen for two. If you're sensitive to chemical smells, you might want to ask them to skip whatever deoderoizer they use bc the unit had a strong cleanser smell the first day that did disapate but was initially overwhelming upon entry. 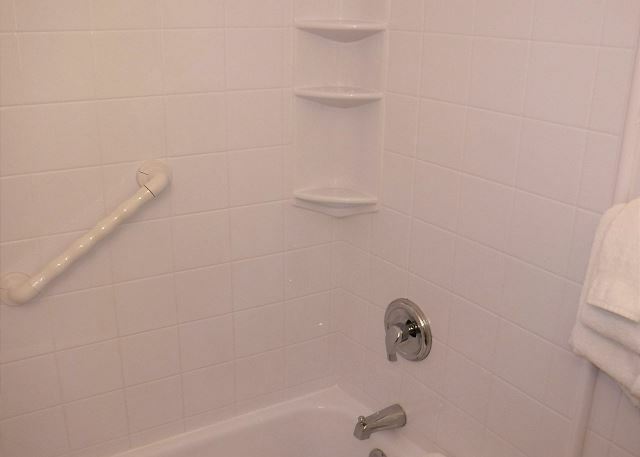 The other thing we found surprising was how thin the walls were between units especially in the bathroom, expect to hear your neighbors. Can't beat the location steps from the beach and a very commuinty feel with the layout, even if only staying for a few days. Staff was extremely friendly when we interacted or had questions. Would definitely stay again and hope to return to Sanibel! It's not granite and marble but you're not there for that, you're there for the beautiful location and awesome beach just steps from where you're staying. The cottage was great----the location excellent and everything we needed to spend as much time as possible outside and on the beach. We stayed one night in the Raspberry Cottage at the Waterside Inn. Our only complaint was that we couldn't stay longer! It's a tranquil spot with darling cottages just a few steps from the beach. Our room was clean, comfortable, and nicely decorated with a fun beach theme. The staff was very friendly and helpful. 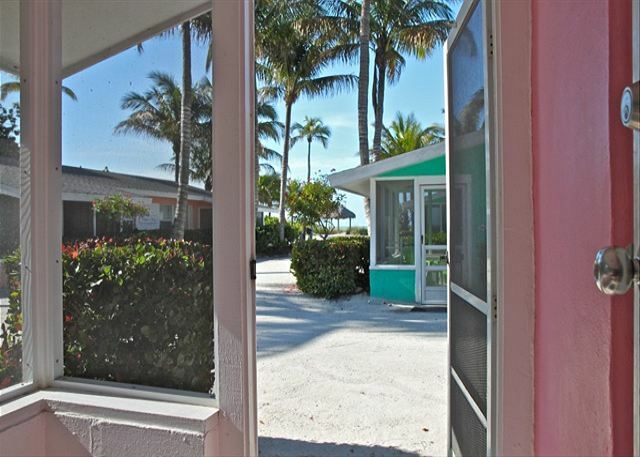 The location is on the beach and close to the restaurants and shops of Sanibel, and just 10 miles from the heart of Captiva. We'd definitely stay there again and recommend it to others. Weather was perfect and we had a wonderful stay. We had a very great time while staying in Sanibel. Raspberry 105 was very comfprtable and everything we expected. The staff were very pleasant and willing to help with any of our needs. Will look forward to returning to stay here again. The reason I booked at waterside was for the location. Just steps to the beach. The Inn was quiet and peaceful, beach was beautiful, and we had everything we needed. Management was generous with towels, coffee, etc each day. I've never stayed that close to the beach before so it was a special time for me. Loved it. We have been staying at the Waterside Inn since 2003. That should tell you something. We count the days until we can go back. We were all there in July ,will be going back for Thanksgiving and are booked for July 2015. 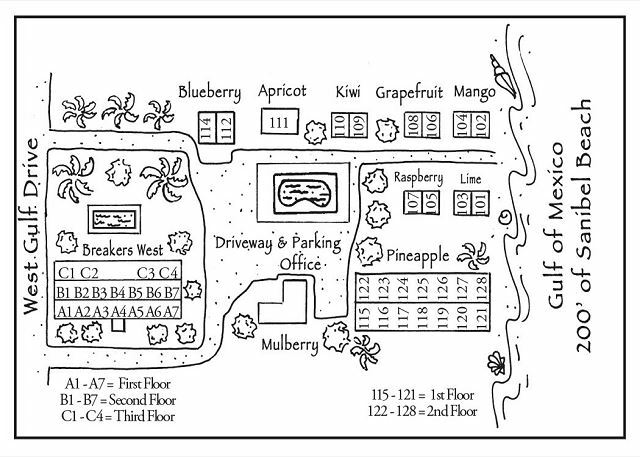 We stay in Raspberry 105 and Raspberry 107. There was new tile and fresh paint this yr. The people in the office are always there for anything you need. I can't say enough good things about our stay. The boys love the pool, we love the beach. The facilty was very nice and the staff were extremely accommodating. The maintenance technician, John, was walking by and welcomed us and introduced himself the first morning we were there. He was extremely helpful when we said in passing that we had a loose faucet in the kitchen. He immediately got his tools and allayed our concerns. We had our 11 month old grandson there for his first beach experience and he had a great time with plenty of room to play in the large and baby safe cottage. There were four adults and the baby and we all had room to have our own space as well as plenty for togetherness. We were steps from the beach (beautiful)and the entire facility was well maintained. Great service and amenities from check in to check out. We even had a co-worker book a stay the next week based on our experience. We absolutely couldnt have Bern mire blessed with a place to stay... all others did not allow 3 teen children in same room as my husband and I, making 5 in a room/cottage, whatever... waterside had no problems with allowing us to do so... Just asked us to bring an air mattress which we did and it was a perfect stay. The other guests were so welcoming and friendly and we lived getting to know them better and learn from the neat things on the island. We WILL be back!!! Hate giving such great ratings cause others will flock to our little gem of paradise and book it full but I don't think it would take away from the peacefulness, I would hope! Our family of four had a fantastic stay at Waterside Inn! We selected Waterside Inn for the close proximity to the beach, which was just as we had hoped it would be. We were just steps from the sandy beach in our Gulf View Cottage. The colorful cottages lined up with the back drop off the ocean was simply stunning every time I stepped outside. The beds were very comfortable and the kids were surprisingly pleased with the pullout couch, which was a great bonus. We had a wonderful trip and would love to return to Waterside Inn again! 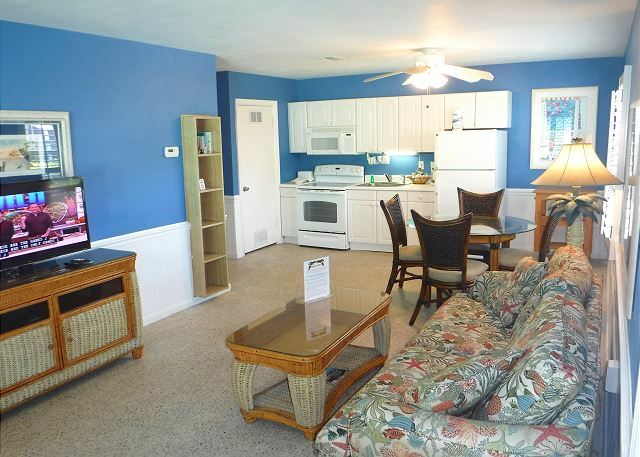 We would recommend it to anyone looking for a small place with a close proximity to the water. Since 1984 I have returned home to Ft. Myers, building in 1 to 2 weeks on Sanibel. About fives years ago I "upgraded" to the Waterside. It was as secluded as my prior cottage (located farther down the island) but cleaner, better equipped, larger, and only slightly more expensive. Worth every cent. The staff is professional, the on-site bike rentals make it easy and its location is just far enough down the island to keep it private, but not too far from Bailey's General Store, Ding Darling and Tarpon Bay Marina! Waterside Inn on the Beach never disappoints. There are options as to the accommodations and each are superior. We have stayed in many places on Sanibel, but this is BY FAR the best on the island. The management and staff are super. I am The Mayor and I love Waterside Inn on the Beach! This was out first trip to Sanibel, and we fell in love. We booked our trip for next year before we left. And we especially loved the Waterside Inn. The staff were so friendly and helpful. The place was right on the beach. It was quiet and laid back. Perfect for me and my family. Simple, clean, reasonably priced. The cottages are perfect for the simple traveler who will be comfortable on a rainy day, but really prefers to be outside on the beach or at the pool. Great location and the staff are one of a kind! If you're looking for a laid back and quintessential experience of old Florida, the Waterside Inn is the place to be. Our cottage was simple but comfortable and just steps to the white sand beach that went on forever. The Waterside had bikes for rent making it easy to journey everywhere on the island. On Friday night, the Sickels (owners) hosted a beach happy hour for guests. Such a great way to meet people from all corners of the world. We look forward to another visit in the future! We come back each year, same time, same place. Everyone is friendly and we see the same people every year! Only a weekend getaway, but had a lovely stay. Stayed in the Rasberry cottage and it was lovely. Extremely great lecaion and really thoughtful staffs! 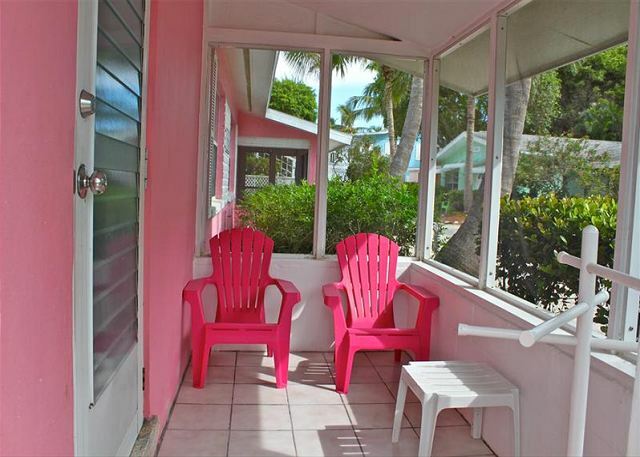 We stayed in the Raspberry Cottage with a view of the GUlf from the porch and TV room window. We enjoyed having a fully furnished kitchen to prepare our own meals. You must bring everything to cook (there is only coffee, sugar, and creamer, no salt/pepper or anything else). The room and furnishings was a bit dated and the upholstery on the kitchen chairs and couch was a bit gummy (not really bad, but it appeared that salty sand had been ground into it?) The bed linens and towels were completely clean and fresh and the kitchen supplies and counter was very clean. Parking is convenient - you pull right up to the door of your unit and the beach is within a 30 -second walk across the property. It was quiet and chairs are available to take to the beach. We would stay here again mainly due to location, size of unit, easy beach access, easy parking, kitchenette (very useable space, not cramped), and it was pretty quiet (could hear talking in adjoining unit when we were in the bathroom only). Always a great stay and perfect vacation. Staff are like friends and very helpful. This is a very relaxing experience , I continue to stay there year after year. unpretentious, small but clean, comforta cabin and a great beach. Apart from the ravenous no-see-ums on the beach, the experience was a flawless sub tropical beach experience. The others we encountered walking the beach were friendly and respectful. Sanibel is quiet, relaxing and attractive. Coming from Miami, I also must say I felt quite safe and secure everywhere on the island. Such a great location, quite and good for shelling. Beautiful! Staff makes you feel like family. This was the 10th year my family and I have stayed at Waterside Inn. We have spent Christmas there, and this year will be there for Thanksgiving.We have our reservations for next July. We all look forward to our home away from home at Waterside Inn.